We’ve been itching to tell what we’re having and we finally got the news out to all the Grandparents, so here it is all internet-official for the world to see. We decided that instead of using one of the many great ideas out there for this kind of announcement, we’d make ours more fitting to us. Jessica and I used to stay up through many long nights at this table playing games when we first started dating and this is the table I grew up playing board games and cards on at my Dad’s house too. 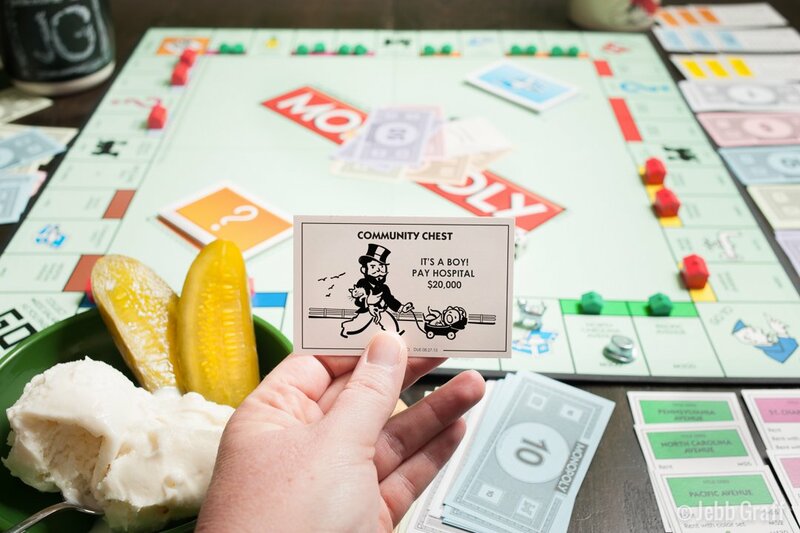 We can’t wait to have another Graff at the table for family game nights and accusations of cheating at Monopoly (something no Graff does by the way).